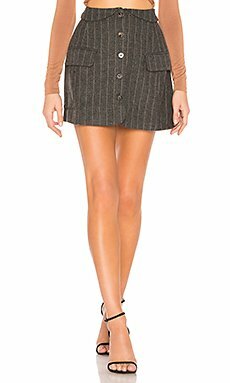 Shop for ASTR the Label Wilshire Skirt In Charcoal & Brown Stripe in Charcoal & Brown Stripe at REVOLVE. Free 2-3 day shipping and returns, 30 day price match guarantee. 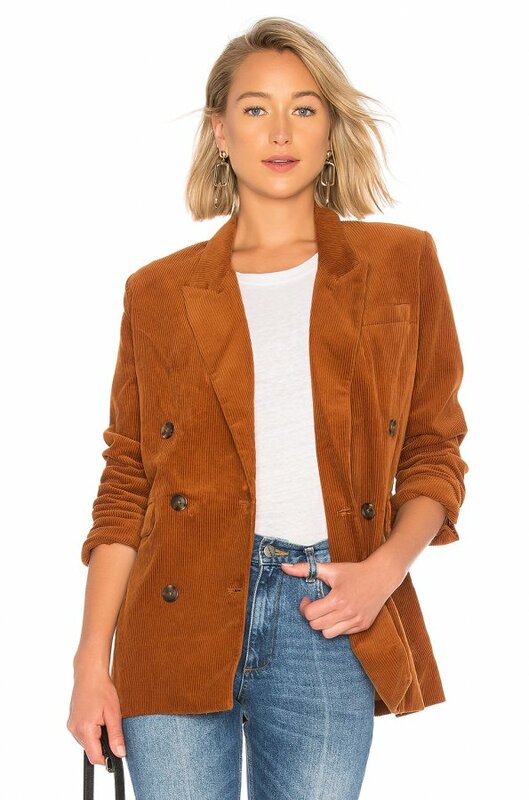 A cute double breasted Corduroy Jacket in Copper, pairs great with a jeans and a tee. 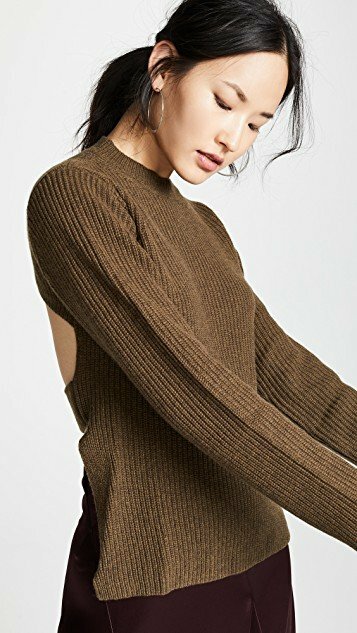 Super soft turtleneck knit sweater to keep you warm on the cold winter days. 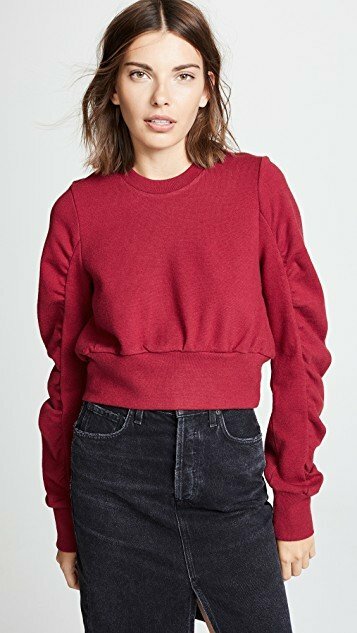 C/Meo Collective adds unexpected drama to a simple sweater with ruched sleeves and a cropped profile. Pair with high-waisted denim for an all-around simple-yet-unexpected look. 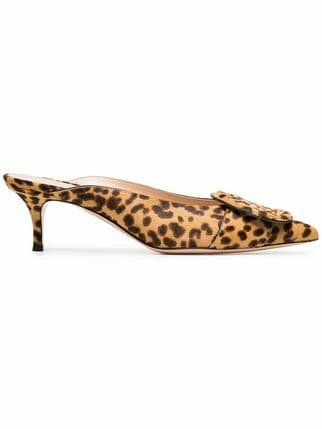 yellow and brown ruby 55 leopard haircalf mules from Gianvito Rossi. 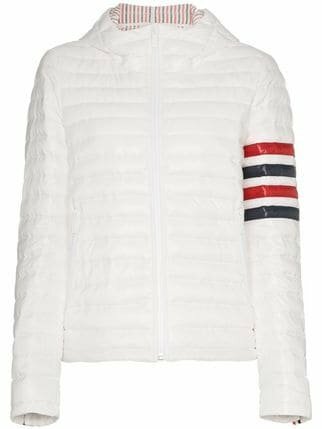 White, blue and red hooded down-filled jacket from Thom Browne featuring a front zip fastening, long sleeves, side pockets and a quilted design. Thom Browne loves to play the reinvention game. Whether it to be classic suiting or crisp shirts, the designer is always thinking forwards instead of looking back. 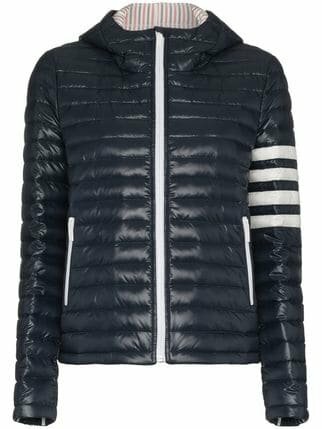 This nylon blue jacket has a padded design, with long sleeves, a front zip fastening and a hood. 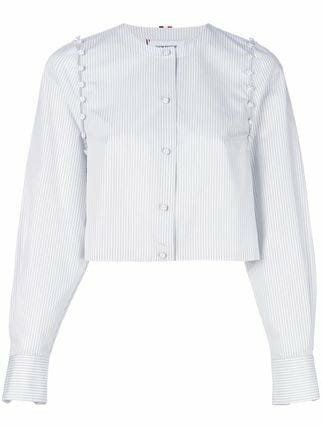 Medium grey Bridal Button University Stripe Poplin from Thom Browne featuring a round neck, a front button fastening, button cuffs, a cropped length, a straight hem, a striped print, a grosgrain band, removable buttoned long sleeves and an off-the-centre printed red, white and navy blue stripe on the back. 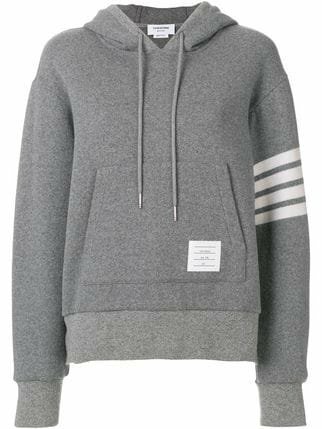 Medium grey Double-faced Cashmere Pullover Hoodie from Thom Browne featuring a drawstring hood, dropped shoulders, long sleeves, button cuffs, elasticated cuffs, a kangaroo pocket, an elasticated hem, a side button fastening, a front logo patch, a signature tri-colour striped trim and a 4-bar intarsia stripe around the left upper arm. 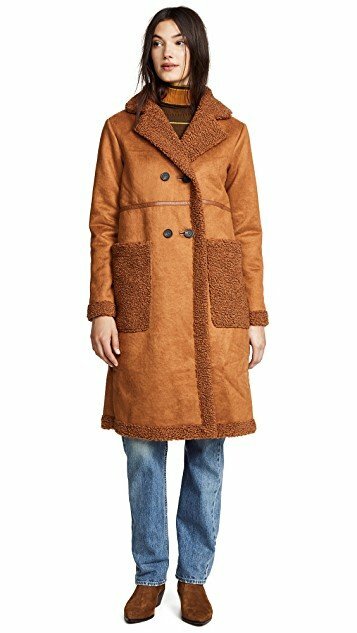 The definition of Saint Laurent? Parisian elegance with a new-age rock-and-roll edge. Iconic leather accessories are tweaked and re-worked to fit the brand’s image. 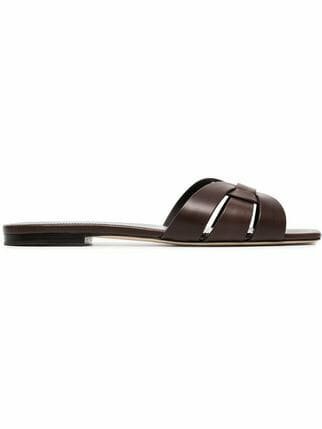 A laid-back style with versatility, these brown tribute woven leather sandals from Saint Laurent feature a slip-on style, an open toe and a leather sole. 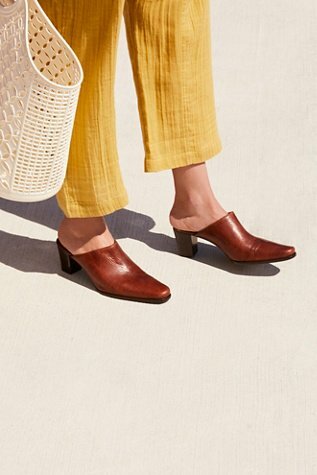 Simplistic slip-on mule featuring a pointed toe and stacked heel. Has a padded footbed. 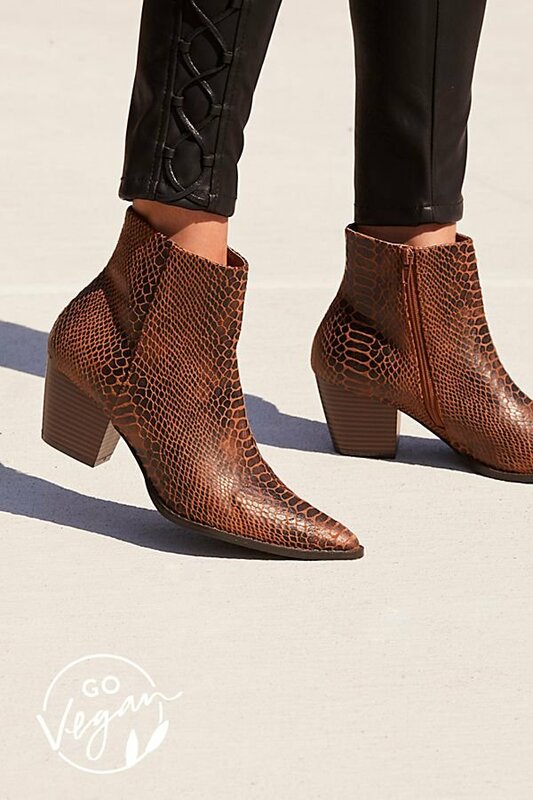 Jazz up a basic outfit with these western-inspired textured vegan leather ankle boots. Casual enough to wear every day. 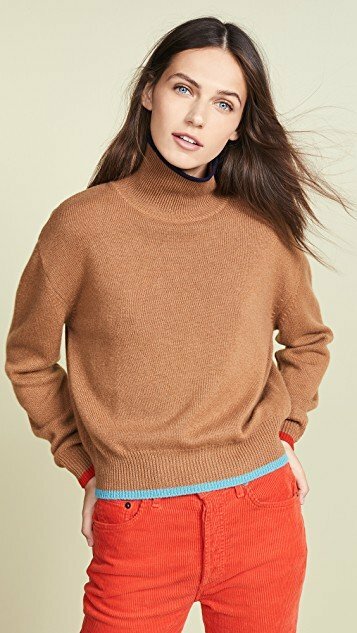 Free shipping at Free People.